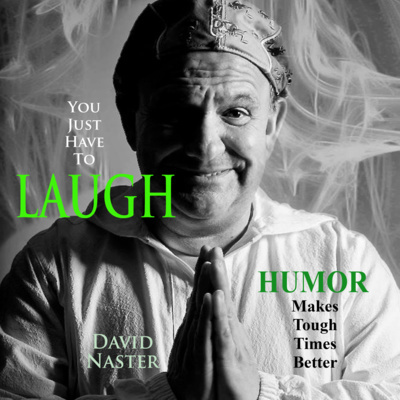 David Naster learned and survived how to make a living as a professional comedian. Then the comedian learned how Humor and Laugher helps us to survive. For 41 years Naster has interviewed hundreds of real people that are really funny in situations that are NOT funny. The YJHTL’s podcast intentions are to entertain and inspire how humor can help you through any Tough Time you may endure. Each week we will offer real people who are really funny that have found joy and laughed through their real problems. A fun departure from humor and laughter. Learn how to truly take care of your indoor plants to help them grow to their full potential. Just how humor helps us grow and blossom - the same principals apply to growing beautiful houseplants. Jonah from family tree Nursery teaches us how to do just that. Jessica Clem show us how to have a joyful life even when you are going through Stage 4 Breast Cancer. What an inspiration she is to everybody who enters her fellowship. If you know anyone going through cancer, this a must episode to hear how humor and laughter are critical through the navigation of the emotions of cancer. PLEASE SHARE!! Caregivers carry the emotional weight of who they are caring for. Nobody looks after the caregiver, so it is imperative the caregiver has the opportunity to release the stress they are carrying. These marvelous people will show how to do that with humor and laughing. We hope it helps it you are or someone you know is a caregiver. It is with reverence and respect YJHTL offers you this episode. These wonderful people aren’t laughing because someone they loved died. They are laughing because they understand how humor helps us get through grief and onto a joyful life. They will show us how and why. And please remember, it’s okay to laugh with them. Don Strickland is a man I met on a cruise ship. His humorous insight into how we have overprotectedchildren to the point they can’t take care of themselves when they grow up, is insightful, funny and accurate. You Just have To Laugh is continually committed to helping everyone become and stay Bully-Proof. WW 2 Veteran Robert Holmstrom ignites your soul. Robert Holmstrom was 91 years old when I interviewed him on a cruise ship two years. He is still going strong. Robert shares how humor helped him as a pilot in WW 2 as well as his love of the flag and strong family values. Rarely do we get to meet such an extraordinary man as Robert Holmstrom. What a blessing! Sinbad and I used to be roommates. When we were first started out being comedians we spent a lot of time laughing and hanging out. I caught him for this rare interview. He opens up about his most personal feelings of being laughed at by Hollywood and attempt at suicide. He is a funny man, a good man and a great pal. Steve Rawlings is a world-class and award winning juggler from England. This podcast brings you in on how to become a professional juggler. Being from England, Steve offers his unique showbiz success and as well as his kind humor. When you visit his website, http://steverawlingsjuggler.com you will see why audiences adore his charm and his supreme talent. Mark Preston is a world-class entertainer. He is an ongoing member of the legendary group The Letterman as well as performing his one-man show all over the world. Besides having an outstanding voice Mark specializes in mentoring upcoming singing artists. This podcast includes his advice and how he worked hard to achieve his success. Mark is also very, very funny. Visit markprestonsinger.com to enjoy more of Mark. This is the third part of our Bully-Proof…a solution series. These familiar voices will show you that doing what you love and helping others, creates great self- esteem. Learn how pity doesn’t help and how failure does. It’s our scars that make us who we are, and what leads us to helping others. This is second episode on how to be Bully-Proof. Standing up for your self is critical to one’s self-esteem and stopping any kind of bullying. These real people show you how and why to stand-up for yourself. When we laugh at ourselves we heal ourselves. It teaches us to accept ourselves with appreciation and NO shame. This is a must view for EVERYONE to inspire, entertain and teach us the value of not only laughing, but to appreciate the humorous side of our glorious selves. This first episode of the You Just have To Laugh Podcast series features Dr. Patch Adams, the real man the movies was based on. Patch along with 6 other extraordinary funny people shows us how to keep playful during life’s toughest times. And we mean the TOUGHEST!